Pop up origami cards bring surprises and joys to your loved ones. You can find pop up origami cards in many countries. 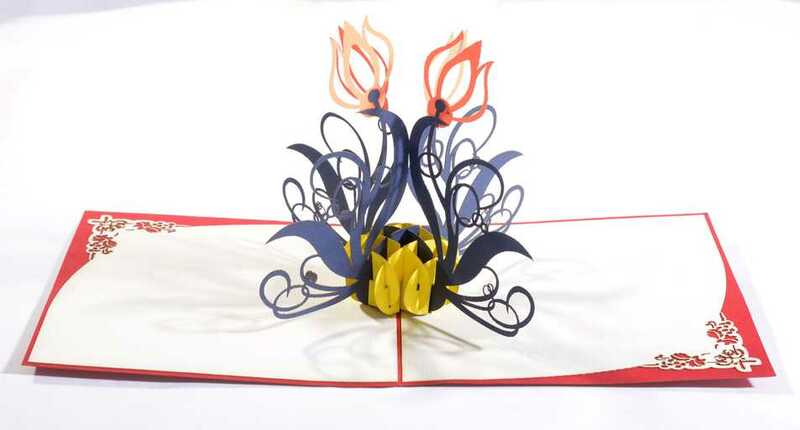 This is our newest collection of pop up greeting cards made in Vietnam with beautiful Vietnamese designs. Each card is hand made with intricate design. There is plenty of room for your note inside. The envelopes are included!